After a second robot attack on the Taylor farm leaves the family picking up the pieces once again, Roman's younger brother Oswald becomes more and more suspicious of Jet Jones's connection with the flesh and blood family that has harbored him. While trying to uncover the truth that Jet seems to be hiding, a new evil looms on the horizon that the Taylor's will need Jet's help to stop if they are to keep the farm, and the family, safe. 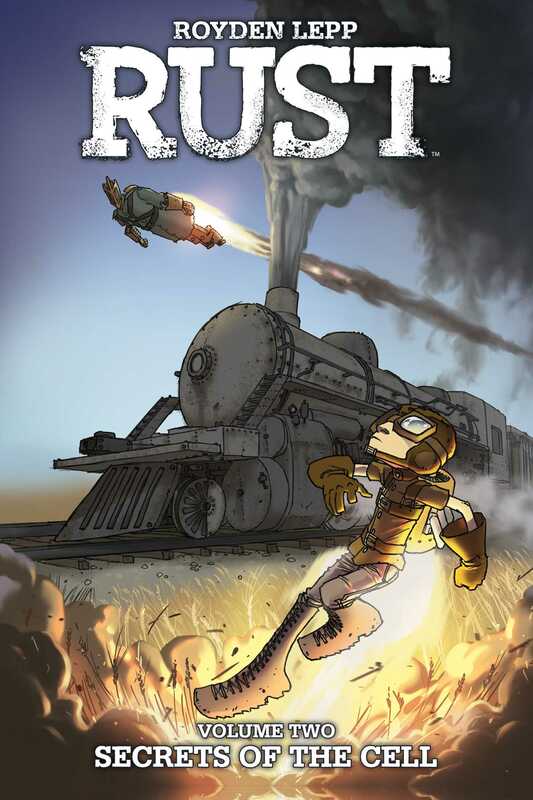 Royden Lepp’s Rust: Secrets of the Cell continues Jet Jones’s critically acclaimed adventure as the rocket boy fights to earn of the trust of those he cares about while protecting them from unexpected threats.